The paper attempts to pose a problem for theories claiming that intentional attributions are essentially normative. Firstly, I argue that the claim is ambiguous. Secondly, that three possible interpretations of the claim can be distinguished: one that appeals to normative impositions put on agents of intentional states, another that exploits the fact that one can normatively assess the states in question and a further one that locates normativity in the domain of special intentional explanations. Thirdly, it is argued that each interpretation faces serious difficulties: they either fail to provide a justification for the claim they intend to make or they contradict certain justified observations about intentional attributions. This is a paper about the presumption that intentionality is normative (“IN thesis” henceforth). In the pages to follow I shall argue for two points. Firstly, that the IN thesis is highly ambiguous. Although this fact is somehow noted in the literature (cf. McHugh and Whiting 2014), little attention is paid to its unwelcome consequences. Secondly, I will argue for the claim that the IN thesis has trivial or implausible interpretations only, i.e. ones that are philosophically uninteresting (they, for example, give us no rationale to believe claims they are supposed to support) and others (prima facie interesting) that contradict certain facts about intentional attributions. There can be no doubt that our intentional speech is extraordinarily rich. Natural languages, such as English, distinguish a great number of intentional verbs. One can say of Caesar that he believed that Rome is situated on the Tiber, that he desired Gaul to be conquered, that he hoped that his actions will result in the conquest of Gaul, that he regretted that he allowed Pompey to be murdered, that he was afraid of the Ides of March, that he understood well the Roman raison d’État, that he doubted that he might be assassinated, that he expected that Cato will never support him, that he remembered that he was an enemy of Sulla, that he predicted the end of the First Triumvirate, that he intended Pompey to marry his daughter, and that he knew that all men are mortal. All such statements (together with numerous others) attempt to classify Caesar’s mental states both in terms of the content and in terms of the psychological mode (to borrow Searle’s terminology).1 The former aspect attempts to capture the representational or semantic dimension of the states of Caesar (as representing the world being made in a certain way). The latter places Caesar’s states in a complex web of relations with other states of Caesar’s, his potential actions and stimuli. Both aspects contribute to what Akeel Bilgrami called”the point and rationale” of intentional states, i.e. their role in “common sense psychological explanation of human behavior” (cf. Bilgrami 1992, p. 15). That said, one must clearly note that probably nobody has ever claimed that every distinction between non-synonymous attitude verbs (and corresponding attitude attributions 2) entails the distinction between different types of intentional states. 3 In other words, probably nobody has ever claimed that all linguistically encoded kinds of constraints that can be put on states of cognitive agents are relevant to the individuation of their states qua intentional states (in other words: there is clearly no one-to-one correspondence between intentional verbs and intentional states). Quite the contrary: knowledge attributions, for example, differ in general from belief attributions (due to their factiveness, among other things). Nevertheless knowledge states are belief states of a certain sort.4 Intentional language is obviously an imperfect indicator of the intentional ontology. As one of three criteria for singling out the class of intentional sentences (and states). Unless very benevolently interpreted, this criterion excludes, inter alia, knowledge, memory and regret from the class of intentional states. Benevolently interpreted, it allows us to draw the following conclusion: if a compound sentence which contains a propositional clause does imply that the propositional clause is true (or false), then it is either a non-intentional sentence or an impure intentional sentence. Due to the variety of distinct intentional attributions and the ontological doubts regarding the existence of intentional states6 it might be useful to think about sundry intentional states as varying with respect to their location in a complex pragmatically determined quality space that we might call an intentional space. The concept of “quality space” is used here in a manner similar to Gärdenfors (Gärdenfors 2000) and it follows on from Gärdenfors in being a consistently conceptualistic approach to properties.7 Within such an account one may investigate conceptual (“what is the concept of belief?”) and ontological (“what is a belief state?”) questions independently. Now, within the intentional space one can distinguish an inferential dimension that, for instance, connects beliefs and knowledge states or knowledge states and the truth of their propositional contents. There is also a causal dimension that requires states with particular psychological modes to have appropriate causal connections with other states, actions and stimuli (connections of this sort should be somehow reflected in intentional laws and law-like generalizations). Yet another dimension that might be called formal, and which was comprehensively described by Searle, characterizes states in terms such as direction of fit and causal self-reference. (Generalized Sellars Hypothesis) In characterizing an episode or a state as that of V-ing (believing, doubting, thinking, hoping etc.) we are not giving an empirical description of that episode or state; we are placing it in the normative space of obligations, of being able to do O or being able to end up in a state S.
An intuitive assessment of the Generalized Sellars Hypothesis (GSH henceforth) depends, of course, on the choice of V, O and S. In one interpretation, intentional normativists presuppose that GSH is basically applicable to one particular kind of intentional state, i.e. beliefs. It is important to note that GSH is connected with normativity in a dual manner. Firstly, it imposes on the intentional subject a requirement of having a capability of doing something (or that of being in a particular state). For instance, one might argue that believing that p imposes on a cognitive agent an obligation of being able to defend every logical consequence of p that they grasp, it also imposes on them a slightly more elusive obligation of being able to justify the belief. Secondly, the fact that they are expected to meet the obligations in question results in the fact that they are allowed to assess whether (and to what extent) they meet the appropriate obligations. Thus, if they are unable to justify their belief, we will assess it as unjustified or poorly justified and, if they are unable to defend (or simply: do not defend when required) some simple logical consequence of a particular belief, we might suspect them of being irrational, inconsequential or insincere (and the belief of being haphazard). Now I would like to suggest that we can classify intentional normativists as either claiming that an interesting type of the normativity of the intentional has its source in one or other version of GSH, or as claiming that it has its source somewhere else. In other words, that the normativity of the intentional is either connected with the fact that being in an intentional state of a particular type imposes some obligations on the agent of the state, or that it is connected with the fact that some or all intentional states have direct or indirect normative aspects. The latter option might take various forms. Basically it might mean that intentional states can be externally classified as correct or incorrect simpliciter. It might also mean that commonsense intentional explanations have normative presuppositions. This interpretation of the IN slogan has been popularized by Davidson and McDowell (cf. Davidson 1970; McDowell 1985). Although I feel slightly uncomfortable to dub this interpretation a version of the IN thesis,8 it is quite popular among various authors. Hence, I will take it on par with others. The diagram below schematically represents the possible interpretations of the IN slogan. Let me just note that I do not presuppose the options labeled as [2A] and [2B] to be mutually exclusive. I treat the options as separate because it is logically possible to be committed to one of them without being committed to others9 (Fig. 1). At one end of the spectrum [1A] are those philosophers who accept some version of GSE and who conceive the normativity of the intentional in terms of obligations put on agents of the states by the very fact that they are in the intentional state in question. It is important to keep in mind that the term “obligation” as used here is open to several interpretations. Although one may be tempted to think that it hardly makes sense to speak of states as imposing normative requirements on agents unless they involve a social or an institutional aspect, this in fact depends on what one thinks of the (supposed) norms that appeal to someone’s being in a given intentional state. Intentional states in themselves (without relevant norms) cannot have a normative impact. Available alternatives here range from taking such norms as purely social or institutional, to taking them as mind and society independent, possibly appealing to non-natural properties.10 Of course, the latter options do not look very attractive (as Geach noted once: “(…) nobody has ever given a coherent and understandable account of what it is for an attribute to be non-natural” (Geach 1956, p. 35)). However, the option just described is not committed to any particular view on norms. Monica believes that Bombay is the most populous city in India. Monica places herself under an obligation to deny that Delhi is the most populous city in India. Monica is under an obligation to deny that Delhi is the most populous city in India. Therefore: Monica ought to deny that Delhi is the most populous city in India. There exists a version of the imposition approach that says that intentional states might put certain normative requirements on actions that are causally connected with the intentional states in question. For instance, my desires might be causally responsible for some actions aimed at achieving the goals specified in those desires. However, the actions in question will count as incorrect or inappropriate if they, in fact, lead to results that exclude the possibility of achieving the goal of the desire or, at least, if they bring about some unexpected effects. For example, it is widely argued that the American policy (that can be understood in terms of desires of individuals in power) aimed at eradicating Saddam Hussein’s regime was causally responsible for sending troops to Iraq. This resulted in a serious destabilization of the region. This unforeseen consequence might result in evaluating the action in question as irrational, unwise or incorrect. To sum up: it seems that [1A] has at least two versions: State Normativism that locates the agent’s obligations in the domain of other intentional states of the agent (for example, by claiming that belief p puts on the agent an obligation to believe that non–non-p) and the Action Normativism that locates the agent’s obligations in the realm of actions that are caused by their intentional states. The Normative Essentialism of Zangwill (Zangwill 2005) that postulates obligation only in the realm of “horizontal relations” (i.e. relations between mental states) is an example of the former theory. Sellars’s approach to knowledge states is an example of the latter. As explained above, both interpretations presuppose the existence of norms that appeal to the relevant states or actions. Let us consider the option [2A] now (we may dub it Assessment Normativism). There can be no doubt that we actually classify some intentional states as correct, incorrect, rational, irrational etc. However, without further analysis, this simple fact remains oblivious with respect to various possible uses of terms like “correct” (in particular, we have no self-evident reason to believe that such terms, when applied to intentional states like beliefs, are used in a homogenous manner). Thus, the proponents of [2A] attempt to unpack the notion of correctness. One way of doing this is to attempt to distinguish the descriptive and the explanatory aspect of that concept. The former is an attempt to describe in normative terms the essential features of intentional states. The latter attempts to explain, by “mentioning” normative properties, the fact that one is capable of being in certain intentional states. Still, what is the meaning of phrases like “regulate” and “guide”? “Regulating” is usually understood as having a regular and systematic influence on forming, maintaining and discarding beliefs (thus, “normative theories of belief formation” (cf. Stich 1983, p. 2) can be seen as variants of [2A]). According to this understanding of “regulation” the following picture emerges: there are certain norms (laws of logic, for example), which are regularly used to assess (and self-assess) certain intentional states; this assessment results in regular and predictable “behavior” of the intentional structure of the agent whose states are being assessed, i.e. it results in contractions, revisions and expansions of that structure. (Stupefying) A belief is correct iff it is uncritically accepted. All these “norms” might be used to assess and regulate the beliefs of Josh. The source of the problem ought to be clear. Wedgwood attempts to provide essential properties of intentional states in dispositional and relational terms, i.e. he attempts to say that it is essential for intentional states to be disposed to being possibly related in a particular way to certain norms. However, it is, in general, hard to single out essential properties in that manner. In particular, the state in question is disposed to being possibly related in a regulative manner to a great number of other external norms. Consider a parallel case: someone proposes that it is an essential property of dogs to have a disposition to having an owner (or: to have a disposition to being possibly related in an “ownership manner” to some human beings). We will say that this property is a very bad candidate for an essential property of dogs partially because dogs also have a disposition to not having an owner, as well as several others uninteresting relational dispositions (for instance, dogs have dispositions to being smaller/bigger than some cats, they have a disposition to having rabies/to not having rabies, they have a disposition to running faster/slower than rats etc.). Roughly speaking, dispositions might be constituents of the essence of something but—if one ignores properties that in “no way limit the logical potential of an individual” (cf. Stalnaker 1979)—they can hardly be dispositions to being possibly externally related to something. Thus, it is difficult to say what it means that “it is essential to the relevant type of mental state that it tends to be regulated by certain standards of rationality or justification.”. The last point is essential for Wedgwood’s normative dispositionalism because he thinks that any specification of the relevant dispositions (which are dispositions to being engaged in certain forms of rational thinking or reasoning) must involve the notion of defeasibility. More precisely, that appropriate forms of thinking or reasoning presuppose that certain defeating conditions are absent. It goes without saying that for Wedgwood the notion of defeating condition is normative. This way of introducing normativity into intentionality, however, comes at a cost: if we agree that this is where the normativity of the intentional can be located, we must consequently say that normativity is involved in most dispositional properties. There can be no doubt that the counterfactuals that capture the essence of particular dispositions presuppose particular similarity standards for our closest possible worlds (or sets of premises, if we prefer premise semantics). For example, hemlock is disposed to harm x when drank by x iff it would harm x if it were the case that x drank it in normal conditions. Thus, for instance, it is not disposed to harm x if x would die before digesting it. Possible worlds where x dies before digesting hemlock count as distant and irrelevant when it comes to assessing whether hemlock is disposed to harming anybody. The absence of the relevant defeating conditions amounts precisely to this, and it seems that this sort of “normativity” is ubiquitous and trivial. Analogous things happen in the case of the supposed truthfulness and rationality of beliefs. One ought to believe truths if one wants to act efficiently,14 and one ought to hold consistent beliefs if one wants to believe true propositions (since having inconsistent beliefs entails believing some false propositions). The normativity of beliefs (and other attitudes) consists in the fact that attitudes are sensitive to pragmatic factors and practical goals. A believes that Castor and Pollux are male siblings. A believes that all male siblings bear identical surnames. If A believes that xRy and A believes that if xRy, then ln(x) = ln(y), and A believes that ln(x) = z, then A believes that ln(y) = z (for each x, y, z). If A believes that xRy and A believes that if xRy, then ln(x) = ln(y), and A believes that ln(x) = z, then A ought to (or should rationally) believe that ln(y) = z (for each x, y, z). God is completely everywhere and not at all anywhere; He is of every form and of no form, alike; He is completely ineffable; in all things He is all things, in nothing He is nothing, and in Him all things and nothing are Himself; He is wholly and indivisibly present in any given thing (no matter how small) and, at the same time, is present in no thing at all. My belief that I am dead is inconsistent with my belief that dead people cannot speak and that I am speaking. And, in fact, inconsistent parts of the patient’s belief system can be used to explain some of the patient’s utterances (and non-verbal actions as well). It is important to note that in this case the patient’s belief system is inconsistent in the strongest sense: he does not only believe p and q for some p and q that are mutually inconsistent but he also knows that p and q are mutually inconsistent. This case can be contrasted, for instance, with the case of weak inconsistency such as a belief the someone is in two distant places at a given time (see: Bayne and Pachery 2005 where such a clinical case is described). If you find Nicholas of Cusa or clinical examples unconvincing, you might consider cases like the lottery paradox and ask yourself this: does the fact that an agent holds inconsistent beliefs precludes predicting that they will assent to “Some ticket will win”? I am not denying here that authors like Dennett are basically correct when they say that we have a natural propensity towards re-interpreting inconsistencies in someone’s belief system as cases of apparent irrationality (for instance, one might claim that Nicholas of Cusa did not mean what he said literally). However, our initial thesis was not that there is such a tendency among homo sapiens, but rather that such cases “defy descriptions in ordinary terms of belief and desire”. The latter claim is patently false. Proponents of Dennett’s interpretation of the normativity thesis might respond here by pointing out that examples quoted above make use of a single norm of consistency and, due to that fact, show only that this particular norm is not essential for intentional explanations, i.e. that there are other rationality norms that are constitutive presuppositions of all intentional explanations. This, of course, might be correct. However, one ought to be more precise about the nature of those norms. Saying, for instance, that “(…) norms of good reasoning cannot be fully codified in a formal theory” (Bermudez 2001, p. 466) sounds, at best, as a vague declaration or, at worst, like an expression of the unconditional philosophical surrender. There are, then, two possible interpretations of [2B]. Unfortunately, both face serious difficulties: the first refers to a rather mysterious notion of explanation, the other presupposes falsely that intentional explanations always fail in cases of inconsistency. At best, therefore, of all the interpretations of the IN thesis we have distinguished only imposition theories seem to be, prima facie, free of serious drawbacks. The other two interpretations are either unclear ([2B]) or presuppose an extremely weak and ubiquitous understanding of normativity ([2A]). Below I will argue that a closer look at imposition theories reveals their problematic nature as well. (*) If (…) knows that p, then (…) ought to be able to justify that p.
(**) If (…) believes that p, then (…) ought to believe that p or q. We cannot begin to make sense of functional attributions until we abandon the idea that there has to be one, determinate, right answer to the question: What is it for? And if there is no deeper fact that could settle that question, there can be no deeper fact to settle its twin: What does it mean? (Dennett 1989a, p. 319). Stich and Dennett’s accounts differ in important details but they share a common feature: they deny that there are attributor independent intentional facts. 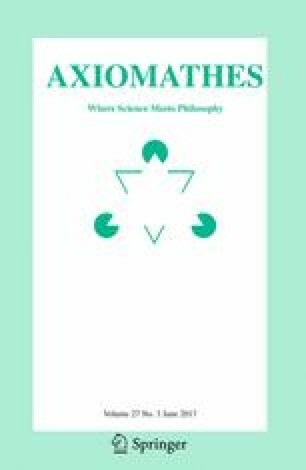 An alternative approach, inspired by the work of authors such as Carnap (1955), Sellars (1956) and Lewis (1972), presents propositional attitude terms and concepts as theoretical. It presupposes that the meaning of propositional attitude terms is given by the theory or theories in which they figure. The meaning of propositional attitude attributions is, then, not perspective dependent but theory dependent. I consider the two options as exhausting the logical space of adequate theories of belief attributions. If John believes that he himself saw Castor yesterday, then he ought to believe that he himself saw Castor yesterday or that today is Monday. If John believes that he himself saw Pollux yesterday, then he ought to believe that he himself saw Pollux yesterday or that today is Monday. If John believes that he himself saw Pollux-or-Castor yesterday, then he ought to believe that he himself saw Pollux-or-Castor yesterday or that today is Monday. If you follow Dennett’s suggestions, you will be disposed to say that there is absolutely nothing that could decide about the obligations of John. Note that the problem here is not that John’s state is not determined by empirical factors (such as his acts and dispositions to act, his causal history etc.) but rather that, according to the theory we are considering, there is nothing to be determined. If you follow Stich’s suggestions the situation becomes even more awkward. If context-dependency and similarity standards are involved in choosing the correct antecedents of the three conditionals, then what John is obliged to do depends on the similarity standard relevant in a given context. This entails relativism with respect to John’s obligations. Now, relativism and robust normativism are in the sharp conflict. Robust normativism claims, inter alia, that normative properties (like correctness, rationality, goodness, fairness, moral appropriateness) are inhered absolutely. In other words (using the language of attributions and predicates) robust normativism is the claim that normative predicates, if truly applied to something, are absolutely true of that thing. Hence there seems to be no way to reconcile the normativity presumption and the perspective dependency. Assume, therefore, that the second approach is correct, i.e. that the meaning of propositional attitude predicates and concepts is given by the theory in which they figure. The theory in question being probably a set of platitudes collected in the manner suggested by Lewis. Assuming this, how can one interpret generalizations on which attributions like (*) or (**) are based? The reply is that such generalizations must somehow follow on from the platitudes of our folk psychological theory. In other words, that they are logical consequences of what is constitutive for the meaning of folk psychological predicates or concepts. As such, they are also constitutive for the meaning of appropriate folk psychological terms. If John believes that he himself saw Castor yesterday and that he did not meet Pollux on the very same day, then he ought to believe that he himself saw Castor yesterday. If John believes that he himself saw Castor yesterday and that he did not meet Pollux on the very same day, then he believes that he himself saw Castor yesterday. I think that the answer is: none. Assuming that the first conditional follows from a folk psychological platitude that endows folk psychological predicates with meaning, there is a very clear reading of the second conditional that ascribes to “ought” a purely decorative or pragmatic role. By the same token, the appropriate normative predicates are redundant and the conditionals have no special normative sense. I do not consider this argument and other analyses presented above to be decisive. It might happen that there is a third way between perspectivism and constitutivism or that the functional-theoretical interpretation of folk psychological concepts contains a genuine normative element. It might also happen that other proposals I have considered in the paper have interpretations that were unintentionally ignored. If this is true, then the paper contains only a list of challenges that should be addressed by the proponents of the IN thesis . I can only hope that considering some of them will enable us to better understand the nature of attitudes and intentionality. Cf. Searle (1983). This distinction corresponds to a more traditional one between the form and the content of intentional states. The term “intentional attribution” is understood here as referring to linguistic actions, i.e. a speech act of uttering a sentence with an intention of attributing an intentional state to someone (or something). On the other hand, nobody doubts that two synonymous intentional verbs correspond to the same type of intentional state (if any). But this is hardly interesting: it is a simple consequence of the fact that two synonymous predicates correspond to the same property (if any). Some philosophers seem to claim that only beliefs and desires are basic types of intentional states (for a brief discussion of this reductionist view see: Searle 1983). Others suggest that we can make do only with beliefs (cf. Humberstone 1987). There is also another notorious demarcation problem regarding intentional attributions: the question about the applicability of intentional predicates (verbs) to young children, animals, certain artificial systems etc. I am not discussing this problem because (again) nothing in the argument presented in this paper depends on a theoretical decision on that matter. As Daniel Dennett noted once: “Beliefs have a less secure position in a critical scientific ontology than, say, electrons and genes, and a less robust presence in the everyday world than, say, toothaches or haircuts.” (Dennett 1982). However, I do not presuppose that every intentional attribution places a state in every quality dimension one can, in theory, distinguish. In other words, I do not think that the “pragmatically relevant” intentional space is (as a whole) integral (i.e. that if a state has a value in a certain dimension of the intentional space, it has some value in every other). However, some of its dimensions might be co-integral. For instance, the fact that an intentional state has a certain direction of fit that cannot be separated from the fact that it can be classified as correct or incorrect. The reason is that the supposed normative presuppositions look like assumptions about the normality or appropriateness of the explained situation. This, for instance, enables Dennett to observe that:”(…) if we are to make use of the concept of an Intentional system in particular instances, at some point we must cease testing the assumption of the system's rationality, adopt the Intentional stance, and grant without further ado that the system is qualified for beliefs and desires” (Dennett 1971, p. 104). Per analogiam, I do not think that the radiocarbon dating methods can be called normative due to the fact that they cannot be applied to contaminated samples (i.e. that they are inapplicable in certain inappropriate cases or situations). A similar point applies to Wedgwood's theory discussed below. I do not include in this simple taxonomy claims about the origins or foundations of norms that appeal to intentional facts (e.g. shared beliefs, conventions etc.). For a recent discussion of alternative views of norms, see Neta (2004). It is important to note that an appeal to naturalistic fallacy in argumentation has been the subject of criticism (cf. Geiger 1949; Wilson et al. 2003) as well as having been the original argument of Hume (cf. Curry 2006). It must also be noted that the concept of naturalistic fallacy (and the famous quote of Hume) are subject to different interpretations (cf. MacIntyre 1959; Atkinson 1961; Pollock 1986). For various interpretations of this claim and their criticism see: Bykvist and Hattiangadi (2007). In any case, one should be careful about including on the list of appropriate meaning postulate rules where the obligation has a wide scope. This is because all applications of obligation operators to conceptual truths result in tautologies or further conceptual truths and, as such, they lack the prescriptive sense, i.e. they can be interpreted only as parts of “a blueprint of creation” (cf. Marcus 1966) and, hence, have a non-normative meaning (“What does it take to be normative? A typical suggestion is that genuinely normative claims or principles are prescriptive.” (McHugh and Whiting 2014)). And since it is plausible that if principles like “if x believes that p, p entails q and x grasps that p entails q, then x believes q” are true, they are also conceptually true, it clearly says nothing about the special normative character of the intentional. By the same token, from an intentional normativist's point of view, the narrow scope occurrences of obligation operators seem more promising. This does not commit us to a stronger claim that “truth just is the property of belief that suffices for your getting what you want when you act on it” (Whyte 1990, p. 149) although this claim is perfectly consistent with the proposed interpretation. ln is a function that assigns surnames to persons. Furthermore, the explanation that contains (IV)″ does not, strictly speaking, allow us to derive (V). Even if we assume the reflectivity principle for beliefs (i.e. BBp ⇔ Bp), it allows us to infer at most that A believes that A ought to believe that ln(b) = n which neither entails that A believes that ln(b) = n nor that A ought to believe that ln(b) = n. Additional premises might help. For instance, “If one believes that she ought to V and if no external or internal obstacles are present, then one Vs”. This obviously does not change the fact that the explanation remains normal and does not make things “intelligible by being revealed as they rationally ought to be”. In a slightly different context Ruth Barcan Marcus defended a similar view: that beliefs cannot be attitudes towards logically impossible situations (cf. Marcus 1993, chapters 10 and 15). Note that applying the Disquotation Principle to the quote results in attributing to Nicholas of Cusa a lot of inconsistent beliefs that can be used to explain his linguistic behavior. The point I am making has been made by Jan Łukasiewicz in his seminal monograph On the Principle of Contradiction in Aristotle published in 1910 (Łukasiewicz 1910; see also Łukasiewicz 1971). In the book, Łukasiewicz distinguished the ontological, logical and psychological versions of the Contradiction Principle and argued for the claim that the psychological version of the principle is a false empirical claim. Łukasiewicz used a quote from Hegel to justify this claim. Imposition theories might be interpreted either in a perspectivist or constitutivist manner. Perspectivism entails either conventionalism or relativism about obligations. Constitutivism entails deflationism regarding normative terms. All three options (conventionalism, relativism and deflationism) exclude robust normative versions of imposition theories. Therefore: Imposition theories do not support the IN thesis, if the claim that there is normativity in intentionality is assumed to have a substantive (non-trivial) meaning. The distinction between the two approaches in question is neutral with respect to basic/impure distinction introduced in the part 1. I am, therefore, assuming here that no matter what version of the linguistically guided intentional ontology one takes to be correct, this fact must somehow fit either the persepctivism or the approach that appeals to the theory dependency of intentional attributions. Intentional irrealism (the account that entails, among other things, that linguistically guided intentional ontology is impossible) avoids the problem completely. However, this hardly can be connived as an argument in its favor. Which state that:”When A says,’S believes that p’, he is saying that S has a mental token of a sentence stored in the way characteristic of beliefs, and his token is content-identical to the one which he (A) expresses by uttering’p’” (Stich 1983, p. 74). An earlier version of this paper was read at IIT Bombay (Self-knowledge and Moral Identity conference). I would like to thank the conference participants as well as Piotr Makowski, Ranjan K. Panda and anonymous referees who commented on an earlier version of this paper. The work on this paper was funded by National Science Center, Poland, grant under award number 2013/11/B/HS1/03947.